what it sounds like, with a focus on politics, golf, and other stuff. 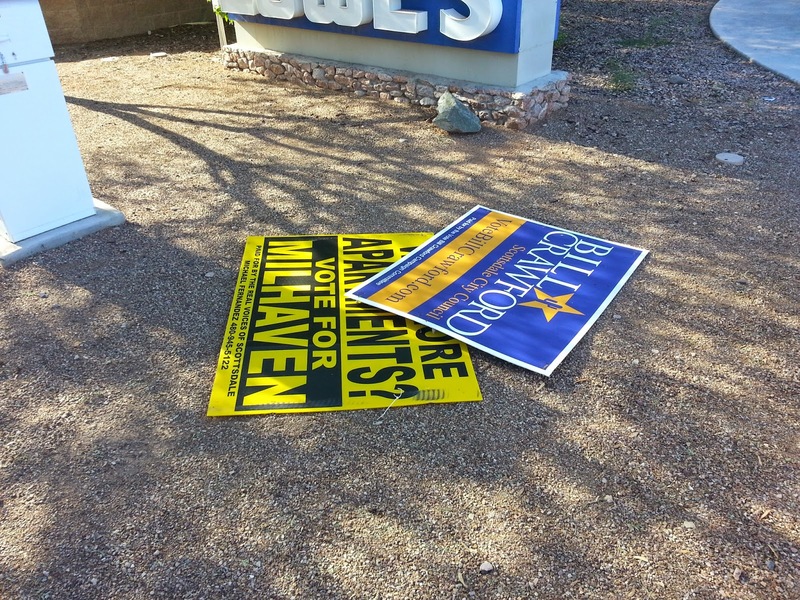 At this point in an election cycle, it's not unusual for campaigns to have lost some of their signs. Sometimes they lose them to "dirty tricks" by other campaigns; sometimes they lose signs because they were placed on private property and the property owner took them down; sometimes they lose them to random (or not-so-random) passers-by who decide that they don't like a particular candidate or campaign signs in general and take unilateral action to express that dislike. 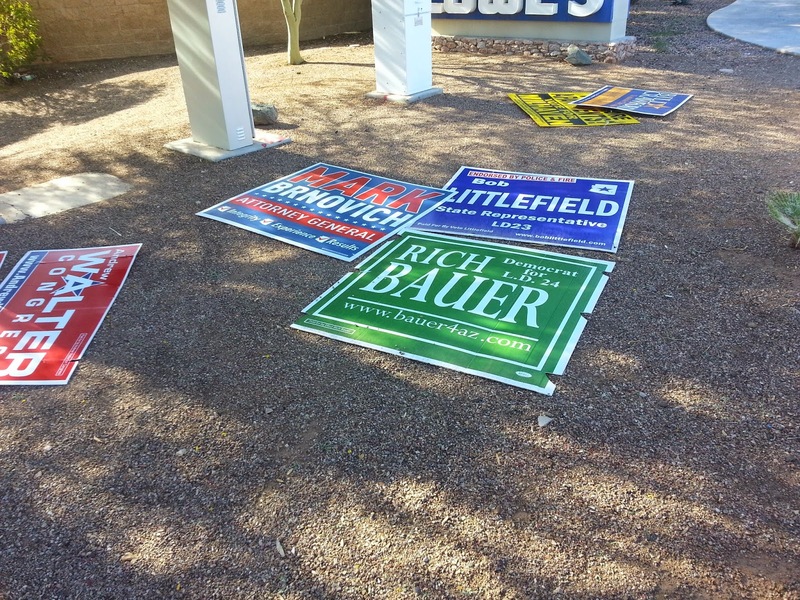 In the cases of dirty tricks or random passers-by, there is usually evidence left behind in the form of vacant sign posts and damaged signs on the ground. In the cases of property owners, frequently (but not always) *everything* - signs, posts, etc. - is gone. 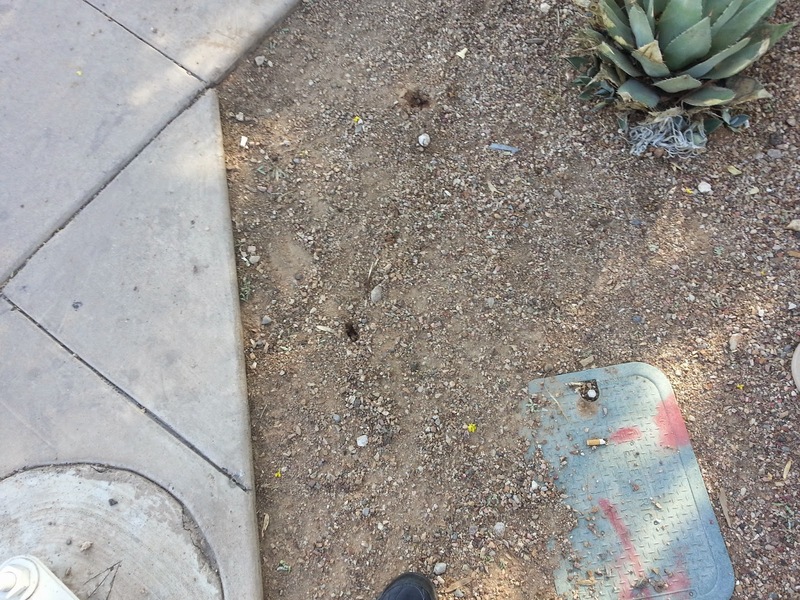 Which make what I spotted at the NW corner of McDowell and Hayden all the more curious. 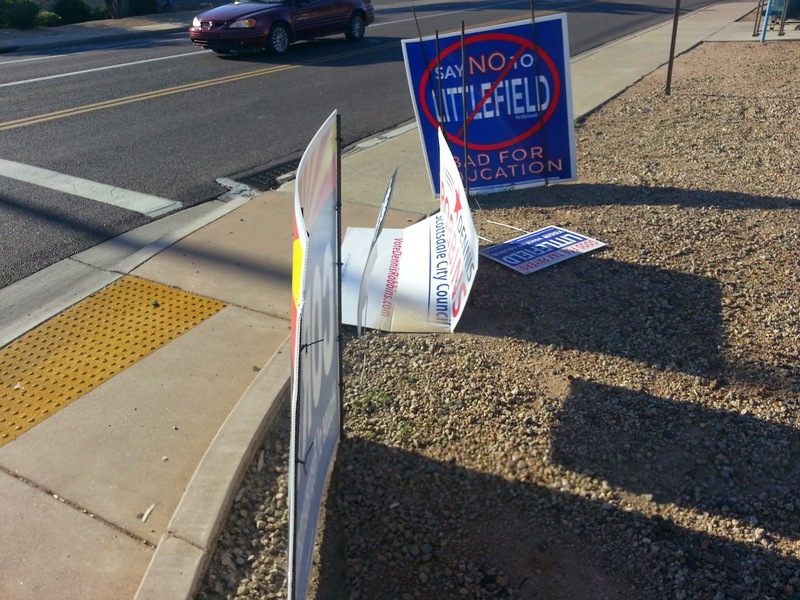 The signs were down, but appeared to be undamaged other than normal wear and tear. Not sure if those were repaired/replaced or just weren't touched in the first place. 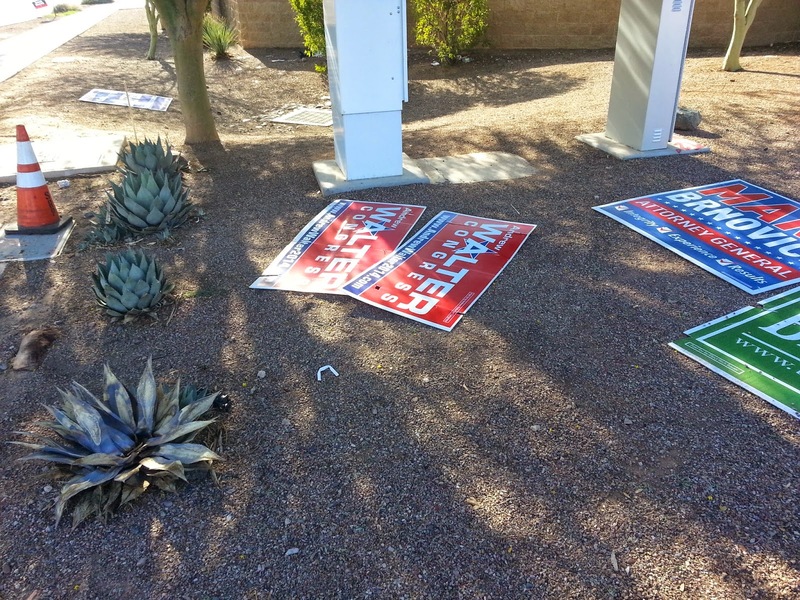 The downed signs may have fallen due to deliberate acts, or may have been downed by the weather that the Phoenix area experienced this week. However, either way, they were still *there*. Best bet is a scrap metal thief or a future candidate with foresight. That one occurred to me, too (metal thieves). 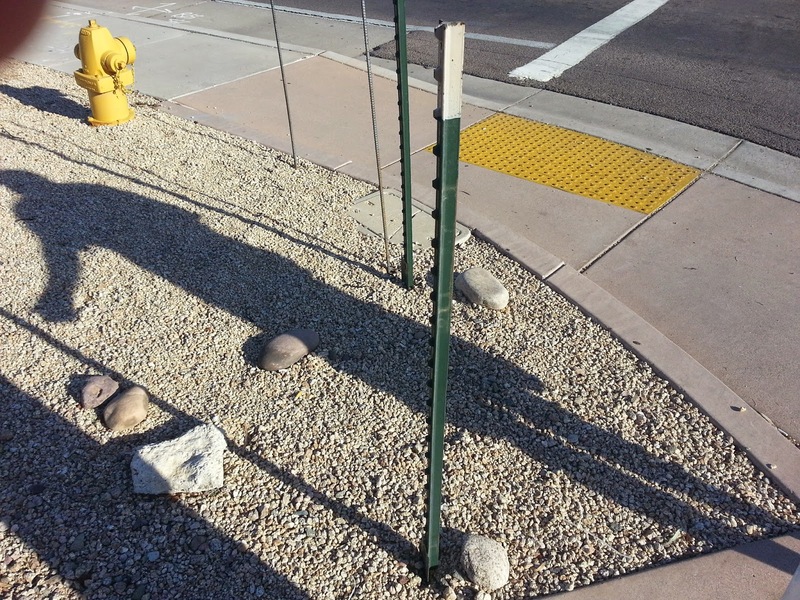 The signs that remained on the corner (assuming that they aren't replacements), all have rebar posts. Does rebar have any value as scrap metal? With the campaign I'm helping, we use T-stakes as posts, and while we've had some signs come down in ways that are attributable to "normal" causes, but there's nothing like this. All metal has value but copper is king. 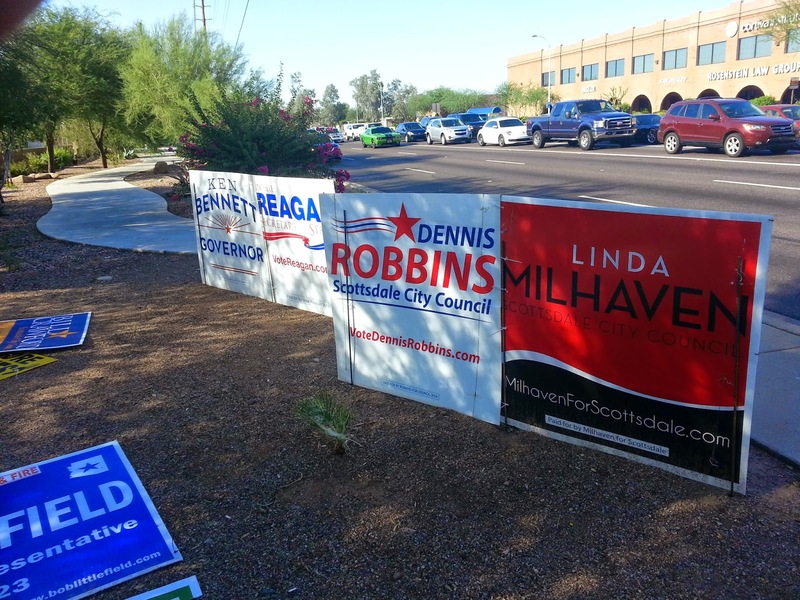 If we used copper posts, there would be no street campaign signs. My name is Craig. I have lived in AZ for 18 years or so. Transplant from MA. Waiting...hoping for more to move here so the Dems can retake the Lege. Currently reading Capital in the Twenty-First Century by Thomas Piketty.. Got news tips or leads? Email them to cpmaz@yahoo.com. Note: Spam comments will be deleted.